Contax RTS. Olypmpus Newpic Zoom 70. Lomo Smena 8M. Olympus Sylus Epic Zoom 170 Deluxe. Holga 120. Nikon D70s. Polaroid Spirit 600. Hasselblad 500C. Appreciate beauty. Experiment. Have fun. Go crazy. 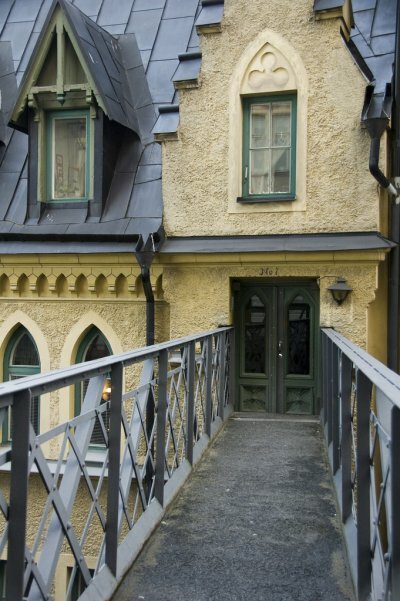 A cute little bridge overpass to an upper-story entrance in Södermalm, Stockholm, Sweden.